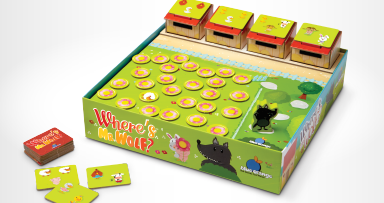 In this cooperative memory game, everyone works together to help all the farm animals get back to their barns before Mr. Wolf arrives… but where is he? Keep an eye out for him as you flip over the animal tokens. 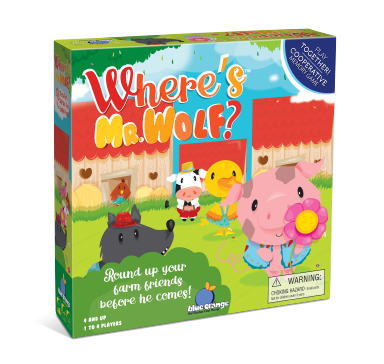 Every time you find Mr. Wolf, he creeps one space closer, and every time you find a farm animal, help each other remember the barn they below to. Bring all the animals to safety before Mr. Wolf comes around! 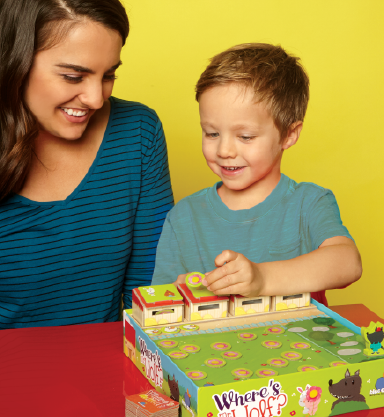 The cute animal tokens, 3D barns, and shared goal mean little minds work on memory and teamwork at the same time.